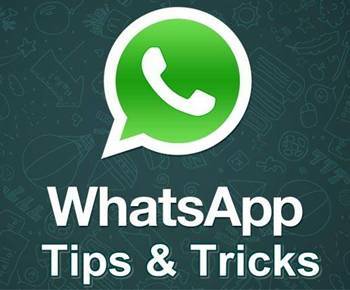 WhatsApp is a popular instant messaging mobile application to send text messages, images, video, audio messages or even to place an internet call. Facebook acquired Whatsapp in 2014 for US$19 billion. It has one billion active users, handling about 42 billion messages a day. The app is available for iPhone, Android, BlackBerry and Windows devices. 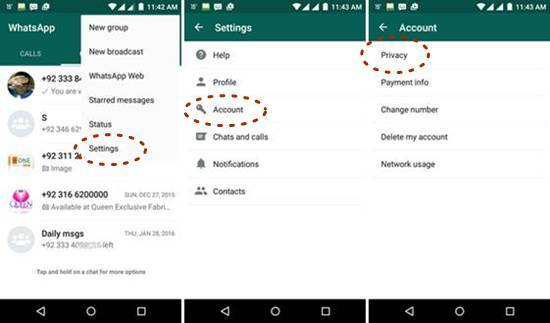 You probably know Whatsapp but I think many of you don't know all of its features. 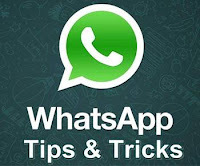 Here you will learn some of the best Whatsapp tips and tricks. You can send public messages privately as you send Bcc emails. This feature works in the same way as Bcc in the email. You can send out a group message without everyone in the group seeing who else received that message. Tap the Options icon at the top right (three dots) and then go to New Broadcast. Enter the names of all the contacts you want to send your private message to, tap Create button, write your message and then send it. Your recipients will get the message as if it was a private message sent only to him. Only people with your mobile number in their address book will receive your broadcast message. 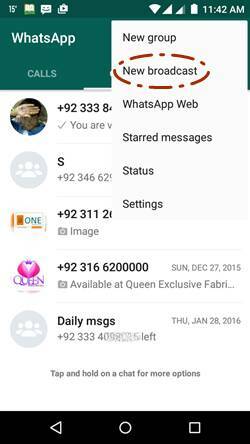 You can create a broadcast list of your contacts once, and then whenever you want to send messages to all, you can simply do it using broadcast message. There is usually a "last seen" time under the name of your contacts, which tells you when they last opened the app. 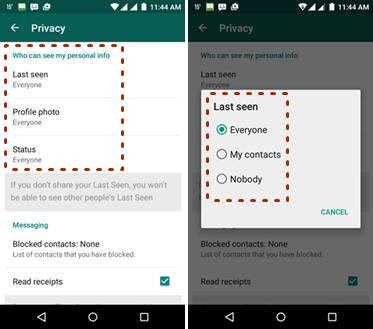 You can hide your “last seen” time, profile photo and status from strangers or even your friends. Tap the Options icon at the top right of WhatsApp, go to Settings, Account, Privacy. You can set visibility of ‘Last seen’, Profile photo and Status to 'Everyone', 'My contacts' or 'Nobody', depending on how much privacy you want. If you don’t want to get notifications from some unwanted groups but you also do not want to leave the group as it may offend your friends, you can mute it. You will not receive any further notification from those groups and no one even knows it as you are still member of the group. In WhatsApp, go to the Chats tab, open the group you want to mute, tap the Options icon at the top right corner, Tap Mute and then select the time. Uncheck the “Show notifications box”, if you want to never get notifications from that group. Two blue check marks indicate that the recipient has read your message. But if you want to know the exact time when your message was read, you can check it using this method. In Android, just tap and hold on the message, and then tap the Info option in order to get the exact time it was read by the recipient. In iOS, just tap and drag the message to the left to know the details. You can chat with your Whatsapp contacts on your desktop or laptop too. Click here to read complete details. You can change the default wallpaper in WhatsApp. Go to Options (three dots on right top corner), Settings, Chats and Calls, Wallpaper. Tap WhatsApp to download the WhatsApp wallpaper pack, or Documents to select images from your phone gallery. Select an image and tap Set Wallpaper. Two blue ticks let your contacts know that you have read their messages. But you can hide these blue ticks very easily. By using this option, you would not also know when your contacts read your messages. Tap the Options button, Settings, Account, Privacy and then Uncheck the Read receipts box. But if you want that you can see these blue ticks but stop others seeing when you have actually read a message, here is a trick for it. Before you open the specific message, put your mobile phone on airplane mode or switch internet off. Read the message and then close it while being still offline. After it you can put your mobile in normal mode. The ticks will not turn blue and the sender will not know that you have read it. Just like 2 sims you can have 2 Whatsapp accounts on a single mobile phone but for it you have to install a separate app. Visit Play Store and search for 2 Whatsapp accounts, you will see a number of apps, select one and enjoy. Which of the above tip is best? What is your best tip? Leave your comments.